For residents of Palm Harbor and surrounding areas, a tidy home matters on the outside just as much as on the inside. 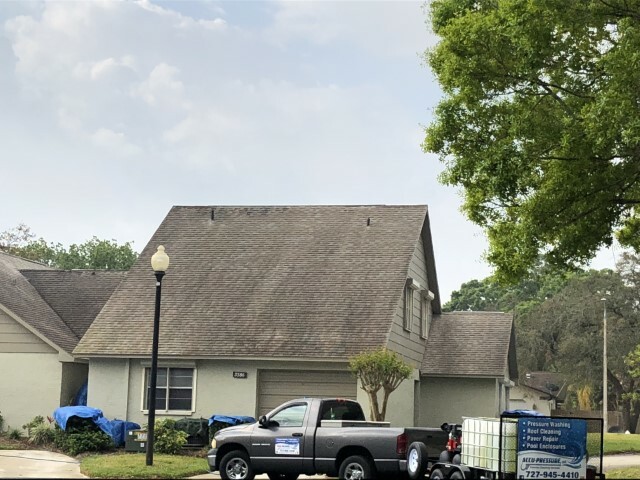 Roof cleaning is an essential part of keeping homes in Tarpon Springs and East Lake looking their best. However, it is best to contact professionals for this task, as inexperienced individuals often end up damaging their home’s covering. 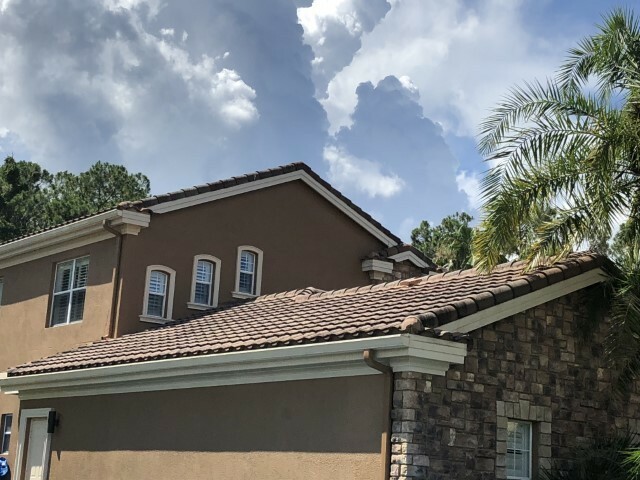 While East Lake, Palm Harbor, and Tarpon Springs are areas familiar with heavy rains, these storms are not enough to keep shingles and tiles clean. Roof cleaning is an excellent way to handle stains and debris that take away from your house’s aesthetic appeal. Rather than help, heavy rains cause damage to the materials covering your house. Frequent showers, along with high levels of humidity, cause mold and mildew to build upon shingle and tiles. These substances deteriorate surfaces, leading to premature aging and possible leakage. However, with proper care in Palm Harbor and East Lake, there is no need to worry. 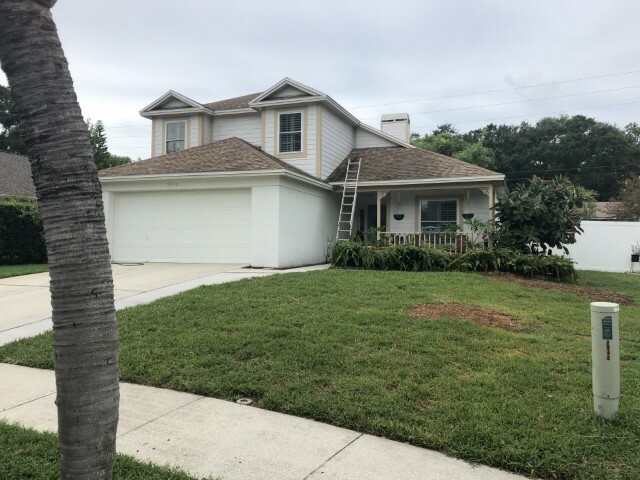 Hiring professionals that understand the science and process behind roof cleaning is the best solution for residents of Tarpon Springs. With the right equipment and cleansing solutions, these companies handle the tough job of restoring your home to its full integrity. Too much force when roof cleaning can rip shingles, leading to leaks and costly repairs. Professional services measure the force the use by PSI, or pounds per square inch. A high PSI is not necessary to effectively clean a surface, and will instead cause harm instead of wash. The best companies use a technique called soft cleaning to maximize cleanliness while minimizing damage. Using the wrong solution causes premature aging to surfaces by eating away at the surface. Other improper treatments stain tile and shingle surfaces, and some also leave behind a sticky coating. In addition to roof damage, the runoff of the chemical solution kills plants and lawns in East Lake, Palm Harbor, and Tarpon Springs. Companies with knowledge on proper roof cleaning know the correct solution to use depending on what is coating your roof. Mold, algae, moss, and other materials require different blends to cleanse a roof effectively. Using the right equipment guarantees you will clean with a low PSI and high volume of water. A general power washer often uses too much force and has a low water volume, giving the opposite effect desired. The best choice a person can make is hiring a company to handle the job for them. These local professionals from Palm Harbor, Tarpon Springs, and East Lake come equipped with the knowledge and know how to handle the situation safely and effectively, from the right washer to the right blend of chemicals. Tile surfaces in humid towns like Tarpon Springs and Palm Harbor grow algae, mold, and other organic materials. These stains give surfaces a dirty look, harm the integrity of the structure, and can even cause a cancellation in your homeowner’s insurance. Many insurance companies give homeowners a short amount of time to take care of stains before they lose coverage. This stipulation is due to the costly disrepair caused by mold and algae. Tile roof cleaning not only keeps your East Lake living space looking attractive, but it can also keep you safe. Growth on the outside often leads to growth on the inside, which can escalate to your house being deemed unlivable. Stains on shingles are more unsightly than tile roofs and provide a higher cause for concern. 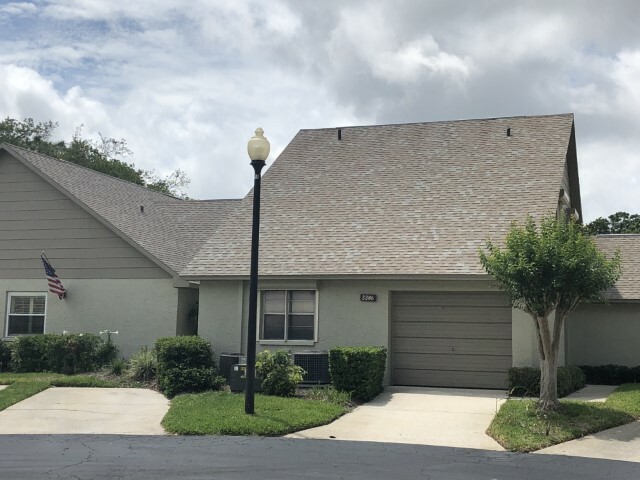 Algae and moss on East Lake and Tarpon Springs homes eat away at the shingles, leading to the same issues that come from a dirty tile. Bigger debris such as leaves and branches cause water buildups, leading to leaks. Algae stains keep reflective surfaces from functioning properly, as the dark stains absorb heat. Larger materials brush off easily with a broom or by hand. Algae and mold are best taken care of with low PSI equipment and a chemical mix. With too much aggression, shingles rip, and more harm is caused than prevented. 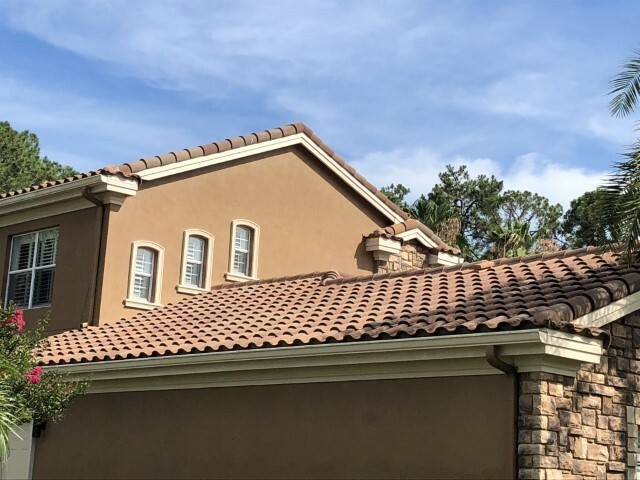 A Palm Harbor business specializing in roof cleaning shingle and tile coverings know the best way to care for the surface. 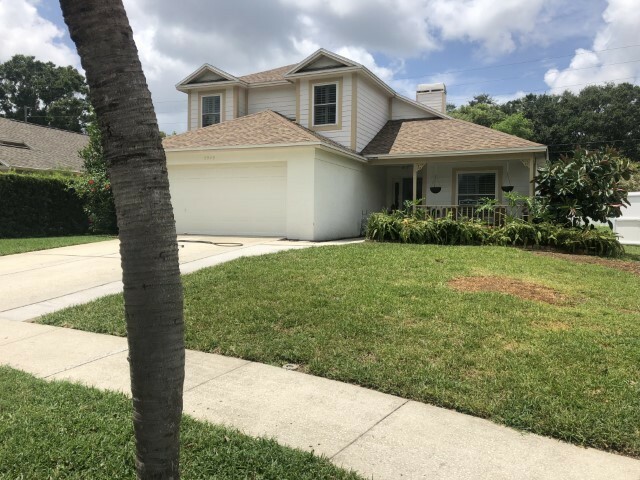 Since 2013, Accu-Pressure, LLC has been serving North Pinellas with exterior cleaning services that leave residents proud of their homes. As a veteran-owned business, we strive to provide professional and exceptional services to our customers in East Lake, Tarpon Springs, and surrounding areas. In addition to roof cleaning, we also offer pool enclosure and driveway cleaning as well as other services to keep your Palm Harbor home looking its best. For more information on how we can help your house sparkle, visit us online or call us at (727) 945-4410.